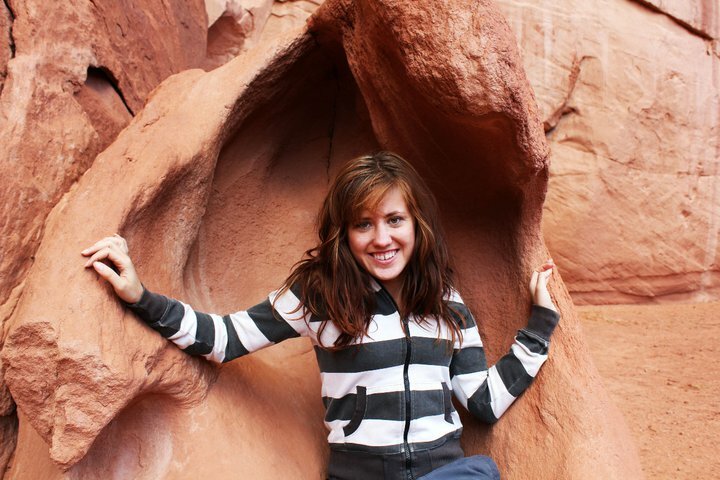 In 2010 I went on a cross country road trip (New York – Los Angeles) with TrekAmerica, during this road trip me and my friends got to experience many of Americas amazing cities, national parks and saw the most incredible nature. Monument Valley was one of my favourites for many reasons, it was such a spiritual adventure filled with beauty and color. For a competition with World Nomads I wrote this piece about my experience; it’s about one of the most amazing mornings of my life. I hope you’ll enjoy it, it means a lot to me. The stars were still visible on the dawn sky. I pulled my hands up grabbing the insides of my sleeves and made repeated attempts to cover my just-awoken face with my messy hair as the freezing wind pushed it to the sides. It was October and the sun had not yet risen over the red sandstone buttes of Monument Valley. Don Mose of the Navajo people led us through the valleys orange sand dunes, the wind patiently replaced our footprints with perfect ripples. 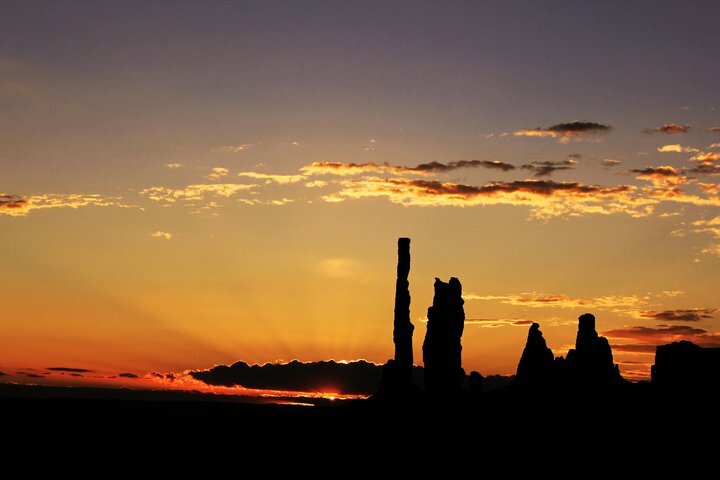 Golden clouds moving through the sky created theatrical shadows over the red landscape as the first rays of sun reached over the silhouettes of sandstone towers appearing in the distance. We entered The Big Hogan. 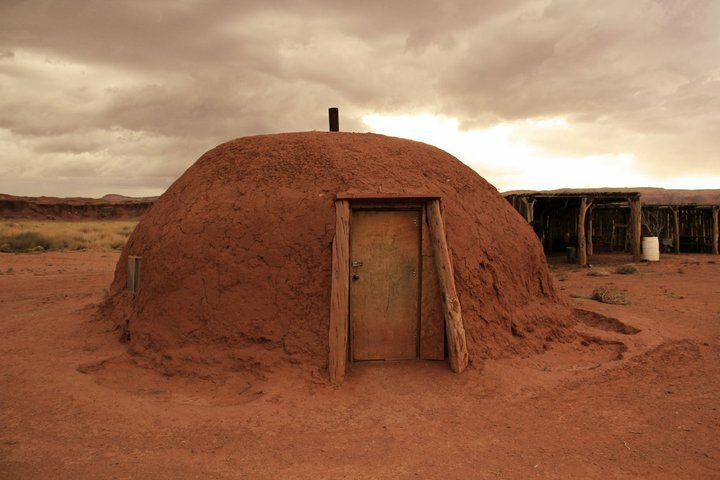 Old dust and history pervaded the air as did the inexplicable presence of the Navajo people from a distant past. The massive oval amphitheater portrayed walls of curving sandstone which we rested against with care, as if they would break if we moved too fast. It’s inside painted with mahogany-red swirls moving up the sides and around the small circle-shaped opening above us exposing the blue sky. The wind barely reached us here. We closed our eyes and breathed deeply. Don Mose’s shadow moved slowly over our bodies and the tunes of his flute danced along the walls. I could feel the red sandstone crumbling from the touch of my fingers, and the pure melody bringing me into a world of flickering flames. I sensed the heat of the fire on my skin and the dry red sand circulating through my lungs as it traveled with my heartbeat through my body. Glow escaping the flames reached Don Mose’s grizzled face, his eyes were closed as his pliant fingers moved with gracefulness over the wooden flute. His rust brown leather coat was falling heavy at his sides and his gray streaked hair moved with the wind across his face. 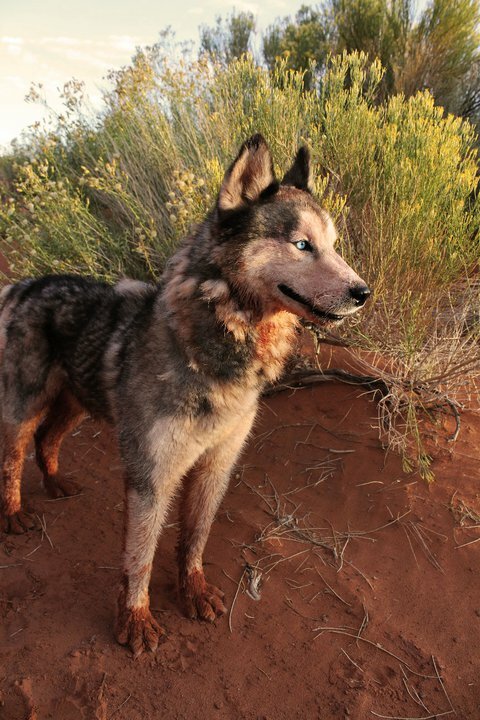 A gray wolf with eyes blue as the sky and paws colored red by the sand appeared at my side; his presence unconditional and pure. Around us majestic buttes, as icicles formed by the earth. Horses surrounded us; their wild hooves moving on the ground with such power they created orange clouds of sand flowing up into the air. Don Mose’s music echoed through my mind and scree fell down the sides of the buttes right before my world disappeared in the ashes. I opened my eyes as the music was escaping into absolute silence only leaving rays of the sun diffusing through particles of dust traveling back to the earth. It was October and a new day had been born. Have you traveled in America? What’s your best memory? Share it with me in the comments! I’d love to hear from you. Tags: America, Monument Valley, Roadtrip, Royal national park, Spirituality, Stories, Sunrise, travel, USA, Valley of the rocks, wanderlust. Bookmark the permalink. What a gorgeous place. Definitely on my to visit list. Thank you for sharing. Have a lovely day!